Dr. Keller joined The Chicago School program faculty in 2006 and taught in the Clinical Psy.D. department primarily in the area of child and adolescent practice for 10 years and is currently an associate professor and department faculty member in School Psychology department. Dr. Keller teaches predominantly assessment-focused classes including and enjoys chairing student dissertations. 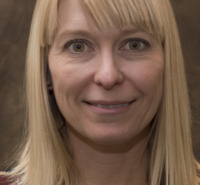 Her research interests include many domains of social-emotional-cognitive functioning effecting children, teens and young adults in their educational and occupational pursuits and overall mental health adjustment. This includes relational constructs such as attachment and areas of neurodevelopment including emotional regulation and domains of executive functioning such as inhibition and adaptation. Effects on school engagement, anxiety (performance and otherwise), and social adaptation and bullying are the outcomes of focus for these research questions. Additional research and presentation interests include forms of consultation such as parent training and teacher/staff development in schools. Dr. Keller worked for several years as clinical/school psychologist and continues as a licensed clinical psychologist in private practice. Her private practice focuses on assessment and therapy across the lifespan. In addition to her teaching and practice, Dr. Keller engages in service to the academic community including having chaired several institutional and departmental committees during her time as faculty. VP and program director of a not-for-profit organization related to in-school intervention project, StronGirls/StronGuys that addresses social emotioal learning and peer bullying among middle school children. I enjoy teaching adults because we can learn together and further each other's knowledge in the process. Much like my therapy philosophy, I believe we all bring different types of expertise or points of view that are important into our relationships, learning, and growth processes. It might be my job to highlight that and help people see ways in which they need to grow, but ultimately the adult learner is an active member of that process. There is something very personal about practicing psychology and while this personal piece makes a good psychologist, there have to be boundaries. To that end, I believe that through empathy extended from the therapist to the client, much can be achieved toward helping people find their truths and changing what needs to be changed. Change is an often difficult process and a supportive figure can be a guide through that process, but each individual will his or her own way of making change happen. I am open to finding that way with the client. I chose the field of psychology because I felt it was a personal calling. I cannot imagine doing any other profession. It works with some of my strengths of being analytical, empathetic and sensitive. I would tell an entering Chicago School student to be open to exploring beyond your preconceived notions and you will find out how to become the best psychologist you can be.